Shadow shape. Because the Sun is not a point of light, but is extended, the shapes of the shadows cast by bodies like the Earth and Moon are quite complicated. 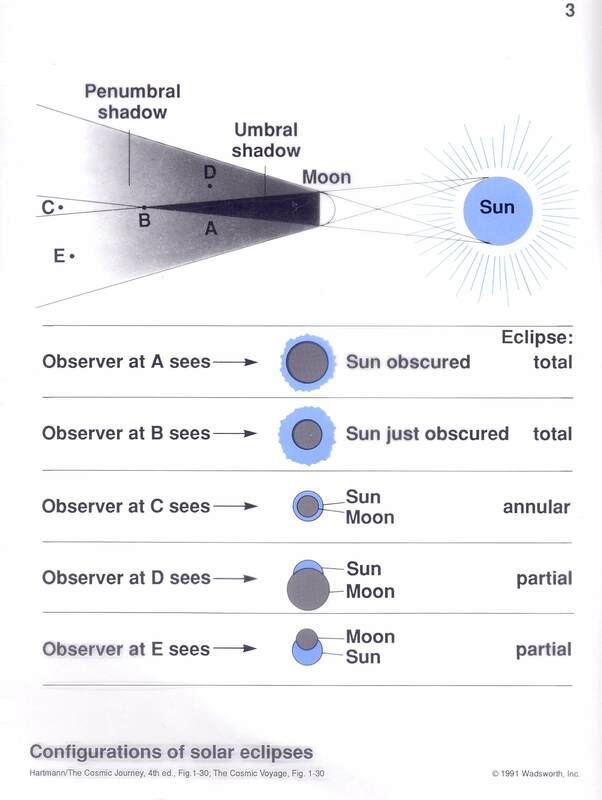 There is a "dark shadow" (umbral shadow) and a "lighter shadow" (penumbral shadow). Think about what you would see if you were located at the various places A,B,C,D,E. (Position A is in the "dark cone" (umbral shadow)). 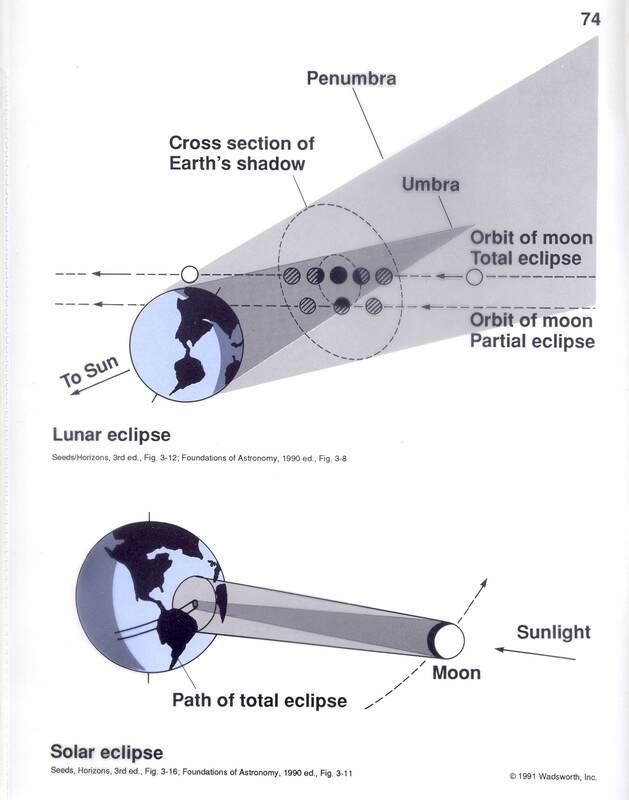 Lunar and solar eclipses. 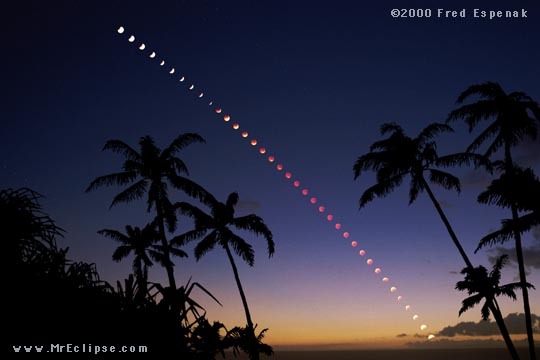 This shows how the Earth, Moon and Sun are lined up to produce a lunar or a solar eclipse. 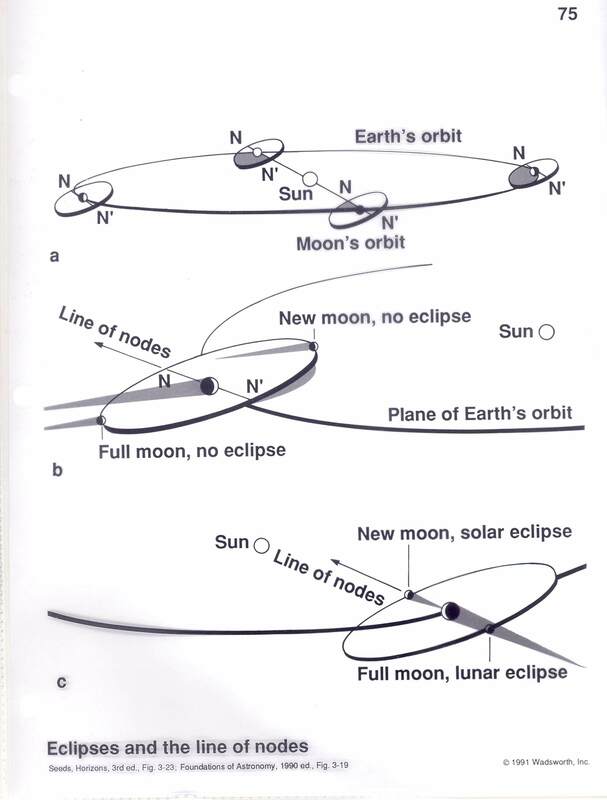 Eclipses and line of nodes. Eclipses do not occur every month, as you might expect, because the plane of the moons orbit around the Earth is tilted slightly from the plane of the Earths orbit around the Sun. 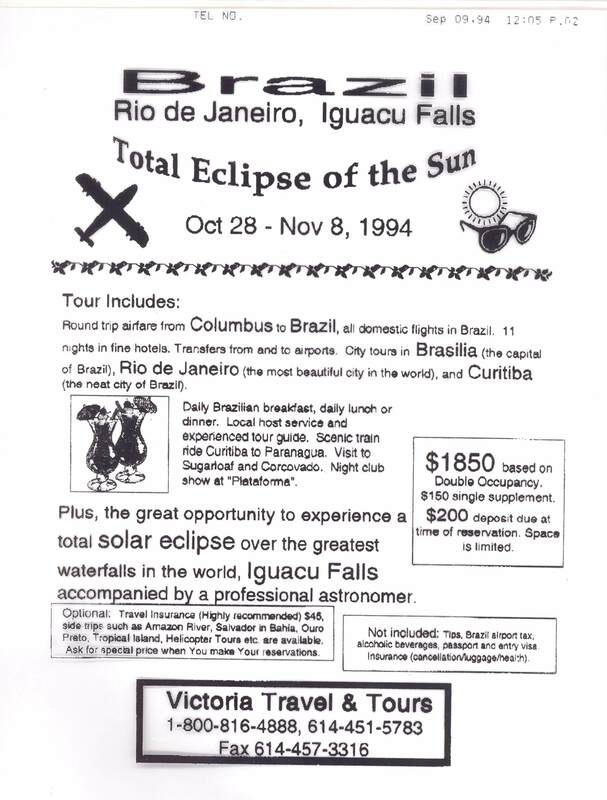 Eclipse travel advertisement. Some people spend lots of $$$ and time to travel to the ends of the Earth to see total solar eclipses. If you have the Big Bucks you fly your private jet along the eclipse path, avoiding possibility of clouds interfering with your view. Solar eclipses worldwide 2001-2020. Just in case you need to make travel plans. Actually, there are not that many good total solar eclipses in next 10 years. The next *total* solar eclipse will be 13 Nov 2012. The eclipse path crosses a piece of Australia but is mostly over the South Pacific where there is little land (better put down a deposit on that Lear jet rental now!). There will be two solar eclipses visible from the US this decade- an annular eclipse in 2012 and a total eclipse in 2017. 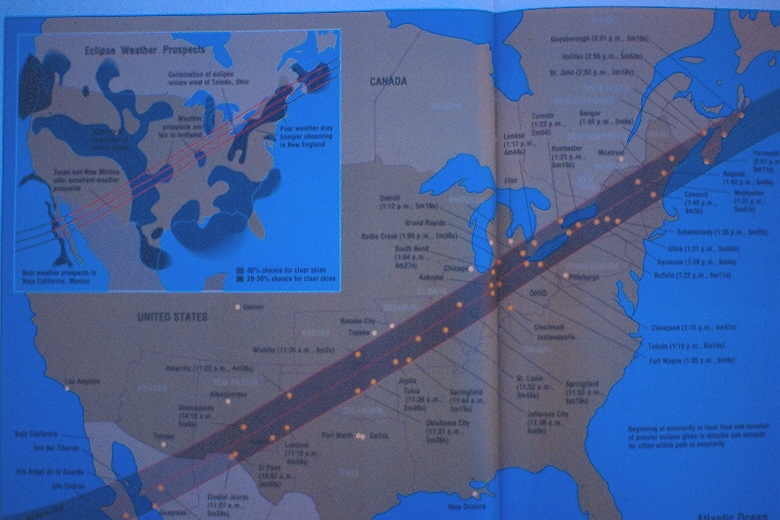 May94 annular solar eclipse. This annular solar eclipse was visible from Oklahoma. Beginning of solar eclipse. 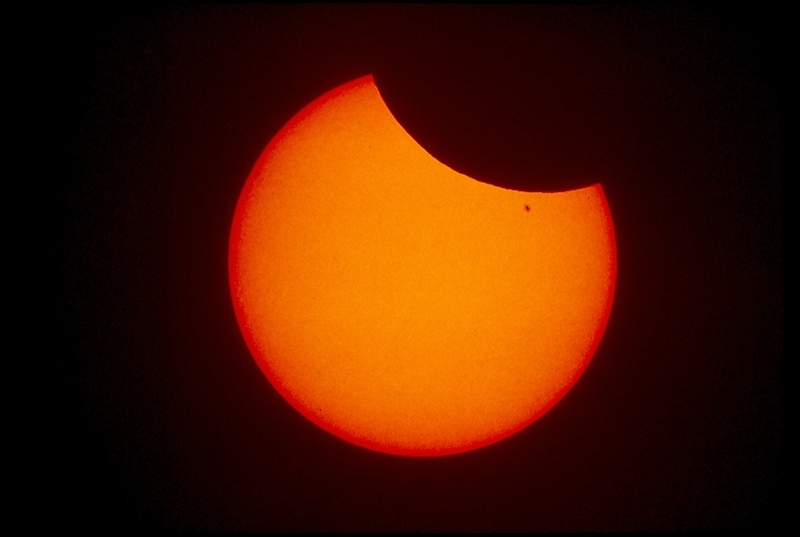 Here the Moon has just started to cover up the Sun in the beginning phases of a solar eclipse. Total phase of solar eclipse. 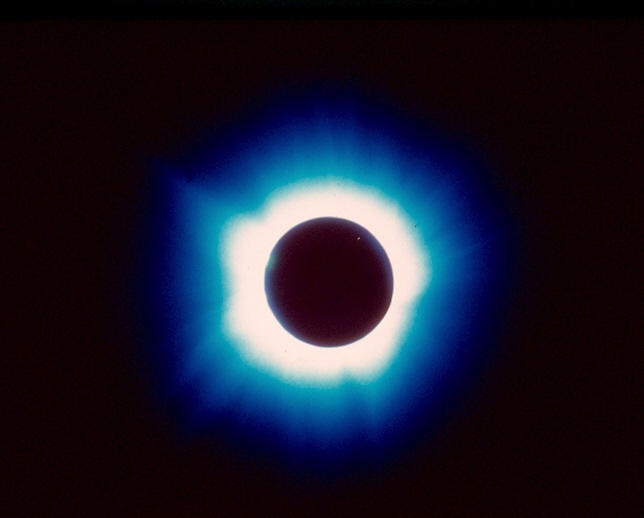 When the Moon totally blocks the bright disk of the Sun, we have a "total solar eclipse". During a total solar eclipse, we can easily see the faint outer part of the Sun, the corona, which is usually not visible because it is completely overpowered by the bright solar disk. Multiple exposure view of solar eclipse This shows a complete solar eclipse as a multiple exposure. 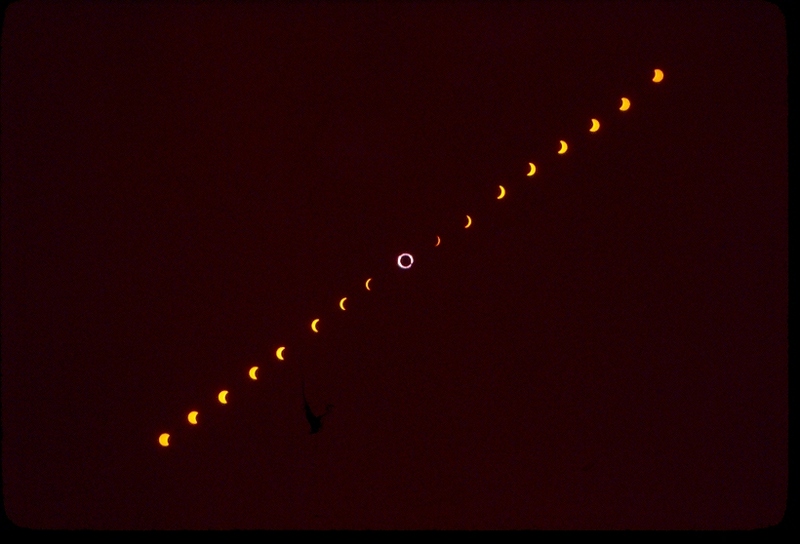 The exposures were taken over a period of time of a few hours and go from time Moon takes first "bite" out of Sun, through totality (middle of sequence) to last "bite" out of Sun. Annular solar eclipse When the Moon is too far from Earth to completely cover the Sun's bright disk, a ring or annulus of sunlight can be seen. This is called an annular solar eclipse. 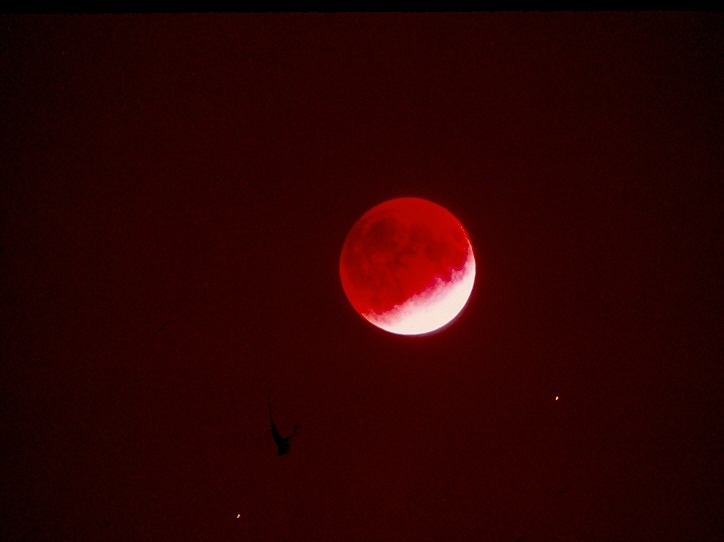 Beginning of umbral lunar eclipse Here the Moon is entering the Earths dark shadow (the umbra). Total phase of lunar eclipse Here the Moon is totally within the Earth's umbral shadow, and we have the total phase of a lunar eclipse. The Moon looks much fainter than usual, because direct sunlight is blocked by the Earth. 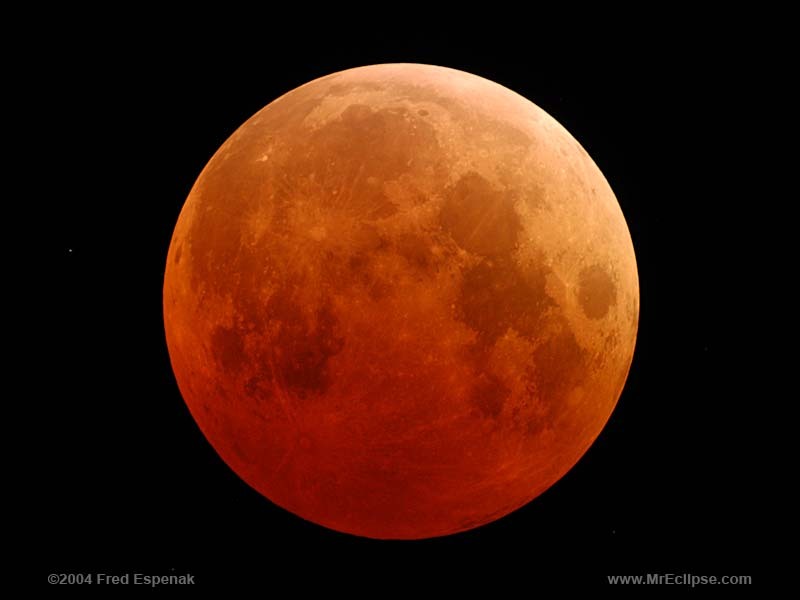 There is some red light that is scattered by the Earth;s atmosphere which illuminates the Moon, giving an eerie reddish or coppery color to the Moon. Mutiple exposure view lunar eclipse over Maui Looks like a nice place to see an eclipse from! December 21 , 2010 Lunar Eclipse Hope some of you saw this back just before Christmas 2010. It was a very nice eclipse, with the Moon very high in sky as seen from Oklahoma. Fantastic lunar eclipse montage. Wow. 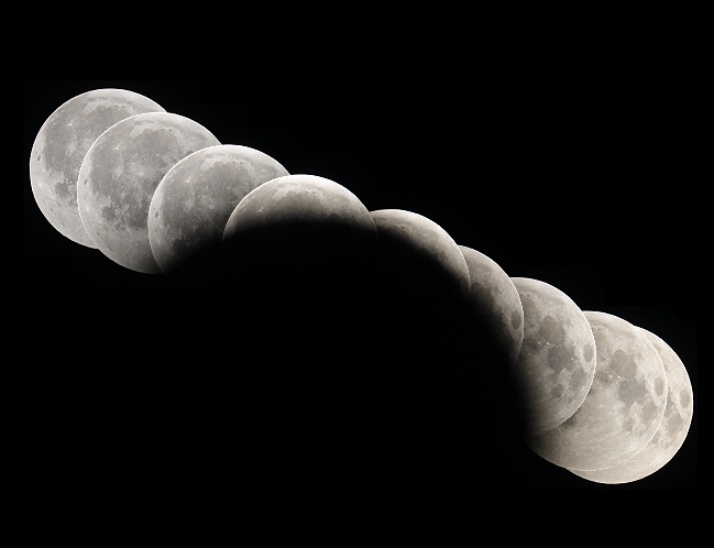 A stunning montage image of a lunar eclipse- you can clearly see the size of the Earth' shadow.